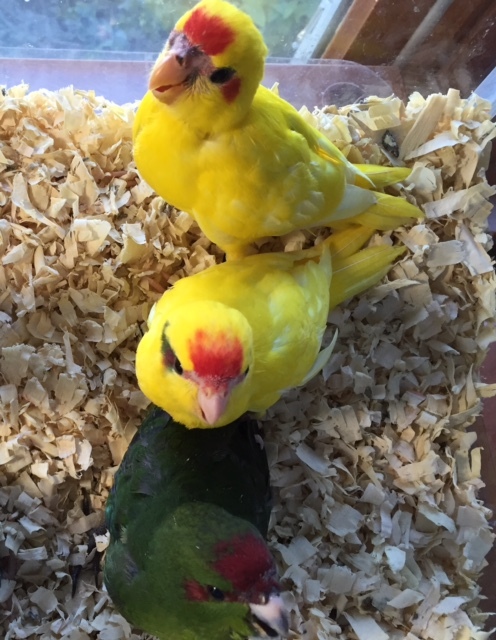 Kakarikis have become a very popular bird for both the pet owner as well as the breeder, but somewhat difficult to find. 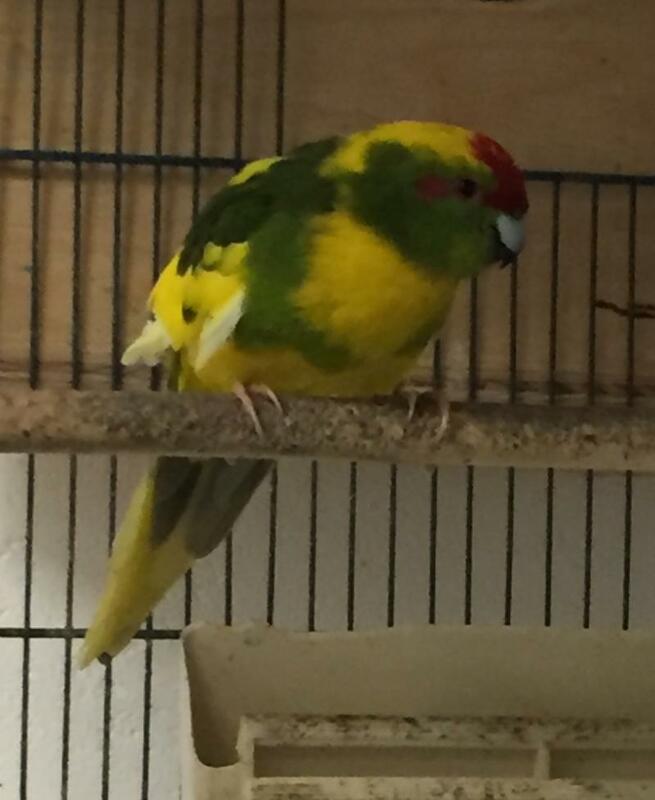 I first saw one in New Hampshire when someone brought a male pied Kakariki in for a nail trim. I was smitten right away. Such beautiful unusual birds, they are very inquisitive, can run upside down in their flight cage without using thier beak, and can fly with ultimate precision. The kakariki is captivating to watch and extremely beautiful. 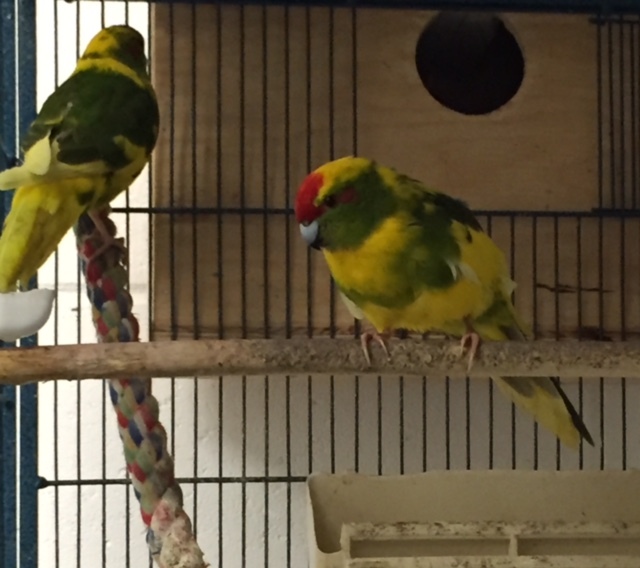 They are quiet and when they do chirp, it sounds like they are saying "Kakariki"
There are two main species: The Red-fronted and the Yellow-fronted Kakariki. The wild color is green, but there are quite a number of mutations for both species. I specialize in the red fronted pied. DNA Sexed Male. Always on the move. This guy was parent raised and so very funny. He never stops...Always up to something. He loves to run upside down in his cage. Green Pied. 4 months old. $175 comes with a TOY! The Kakariki is curious about everything, intelligent, quiet, gentle yet will get into everything, superb fliers, and so very beautiful. I can sit and watch them for hours. 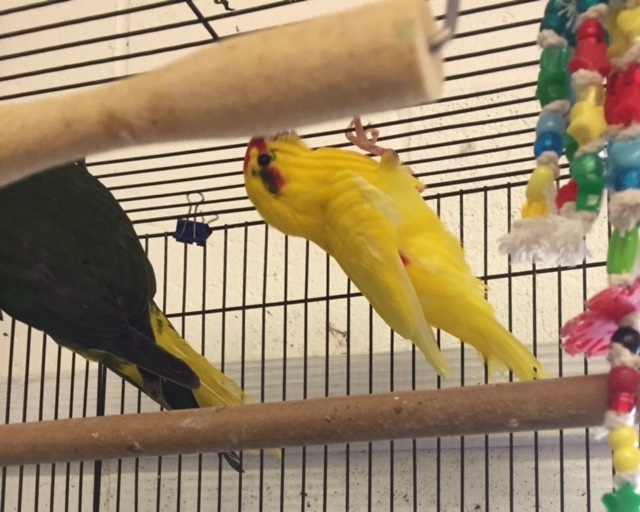 They climb the cage bars and run upside down along the roof bars of the cage without using their beaks. 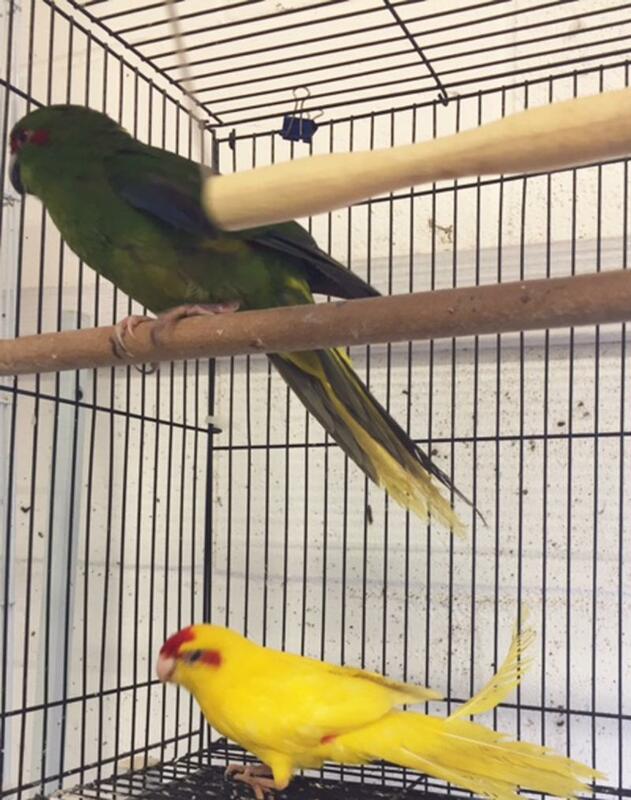 In short, Kakarikis make very entertaining pets if you can handle a bird that has a limited attention span and is perpetual motion. Handfed Kakarikis make great pets and their high intelligence makes them very trainable. This bird is a lot of fun and has lots of character. They are not real cuddlers because they are too active. They do enjoy hanging on your shoulder, sitting on your head, flying off to explore and returning to you. They are EXCELLENT Flyers and some owners choose to clip wings especially when first brought home. 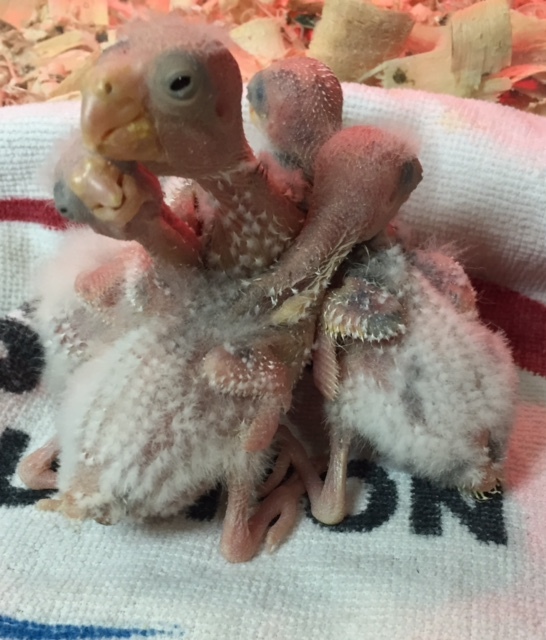 Many owners then opt to let the feathers grow out once bonded. 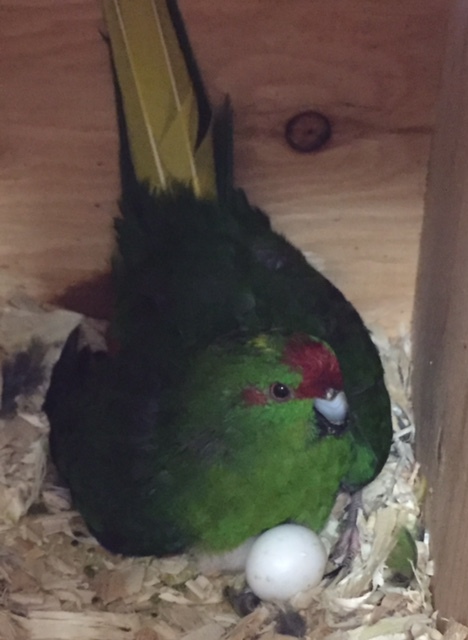 A Kakariki is larger than a budgie, smaller than a cockatiel, about 8”-11”. Kakarikis are considered a hypoallergenic bird. What that means is that they do not have dust / dander, but rather oil glands for preening. They also love to take constant baths. This makes them the perfect pet if you have allergies, as there are no dust particles to trigger you allergies. 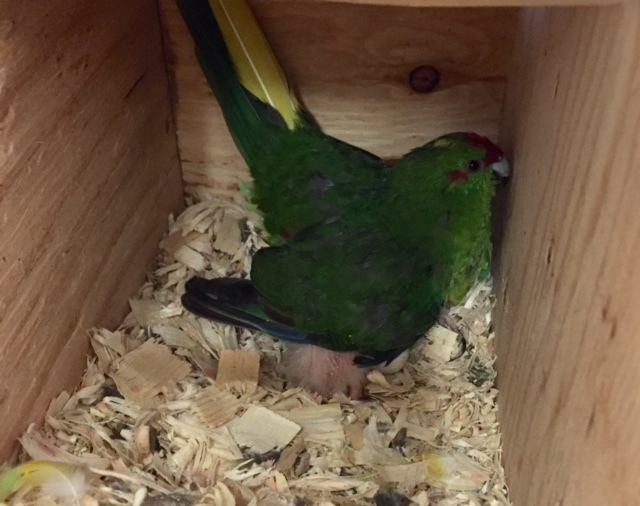 Kakarikis are fairly rare in the United States and are native to New Zealand, where they are very common in the wild. They are known to be good talkers, especially males, better than cockatiels most times. 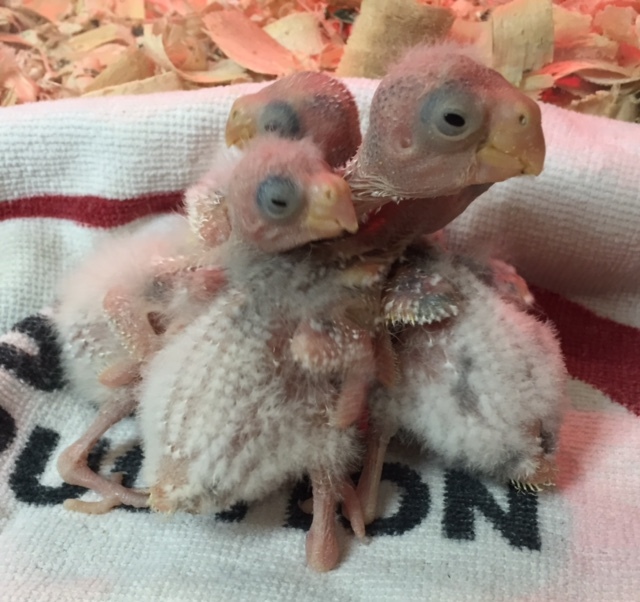 They need a cage similar in size to a cockatiel. They like to get into their food dish and kick their food about there fore it is advisable to place the food in a container with sides rising at least 2.5 inches high, onto the floor of the cage. 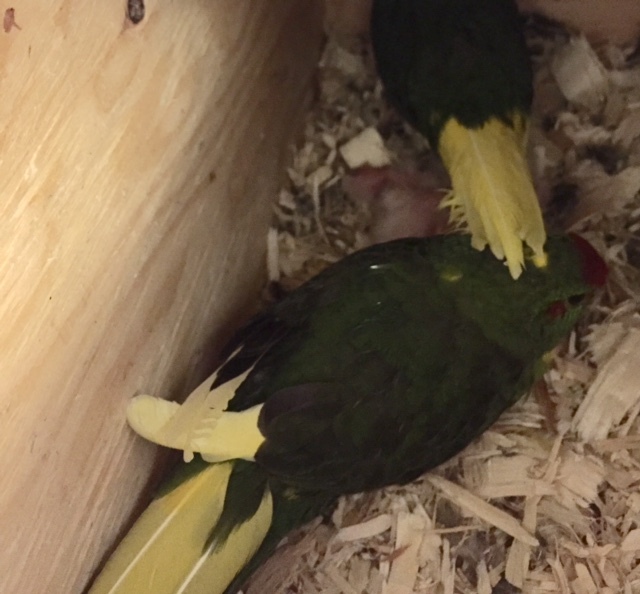 Kakarikis have the parrot-like characteristic of picking larger items of food up with one foot to eat. They are extremely active and will often run round and round their cages. 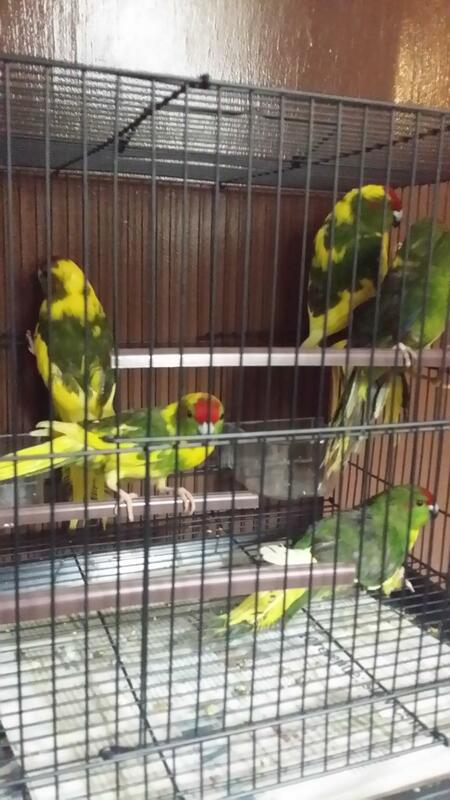 They like to come out to fly but they will also take a few tickles and some petting if they have been hand-reared. I recommend a cage with half bar spacing at least 18 inches deep and 30 inches wide, filled with toys, ladders and things to do. Choose safe strong toys suitable to conures etc. as they can be hard on toys and love to chew. Copyright 2011 Chopmist Hill. All rights reserved.